Hooray, I have now finished my first year of my post grad diploma in Parish Church Studies and I am absolutely shattered. In the last week I did a couple of almost all night study sessions where at 4-5am I thought, well I best get some sleep. Hence I look tired and my good friend remarked that I could perhaps carry my shopping with the the bags under my eyes. Hooray, I have now finished my first year of my post grad diploma in Parish Church Studies and I am absolutely shattered. In the last week I did a couple of almost all night study sessions where at 4-5am I thought, well I best get some sleep. Hence I look tired and my good friend remarked that I could perhaps carry my shopping with the the bags under my eyes. So with summer ahead, what can I do to improve my well-being before the work all starts again in September? 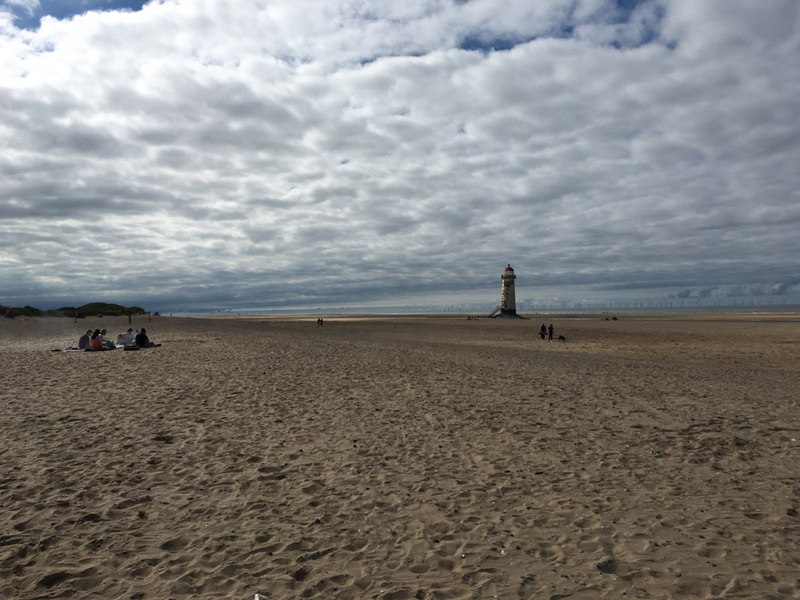 Firstly I will be going off to the beaches of North Wales for some brisk walks and that feeling of freedom on wide expanses of sand. Saltyness on my cheeks and the thundering roar of the sea, well the Dee Estuary..... Flintshire is the nearest coastline to visit and is 25 miles long, of which my favourite beach is Talacre - flat sands, a forgotten lighthouse and a series of dunes for a nature walk. Offshore there are the wind turbines, this is an industrial coast but still it is a great spot to visit for some gathering of thoughts and recharging the batteries. When you have so much space around you it is somehow a great release of stress and all those tensions of finishing essays disappears for me. The beach is great for people watching which also helps with the unwind. For some pampering and relaxation, perhaps a Mummy Makeover Package is required since studying and being a mum is hard. Late nights revising and writing after a little one has gone to sleep really take their toll. dark circles, skin looking dull and excess weight from midnight snacking! So a trip for some beauty therapy would be utter bliss, from laser resurfacing of the skin for a more youthful look to toning up, removing toxins and improving circulation for firmer skin. I would like to feel better and less as if the years are catching up to me, some sleep and tlc would be most welcome. Just like going to the beach, immersing in the natural environment is a way I like to unwind. Living up the road from a huge forest is great and going on the trail works burns off calories and stress. The country park also is a place I like to visit and walking through the woodland at this time of year, listening to the birds and hearing the breeze rustle the leaves is so calming. I also like to try and identify the flowers that I come across, a challenge with identification book in hand and a sense of satisfaction at learning something new. The local conservation groups have id sessions where you can meet other nature lovers and it is great way to learn and enjoy being in nature at the same time. For the time I really need to relax, I find just sitting on a bench on a nature walk is a way I like to release any negative energy and feel at ease. 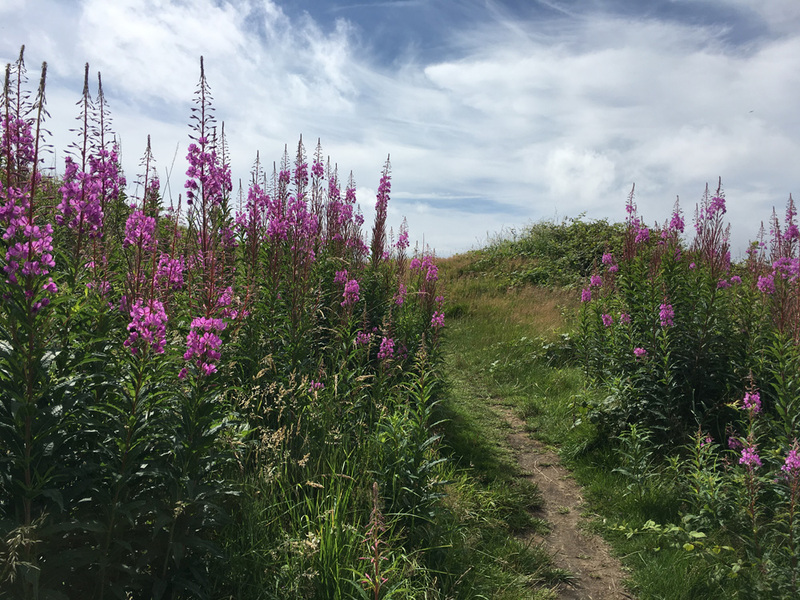 Looking at the landscape around me, the colours of the grasses and the flowers, the mixture of textures and seeing the movement and rhythm of the flower heads is a free and easy way to feel at ease again. I remember my first kite. My father bought it me, it had a tail with red ribbons that trailed beneath its red and yellow diamond frame. I ran up a hill in the park and then ran down, desperate for it to take off and dance up in the clouds. You can pick kites up over summer in some of the budget supermarkets - it's an annual offer, look out for them. 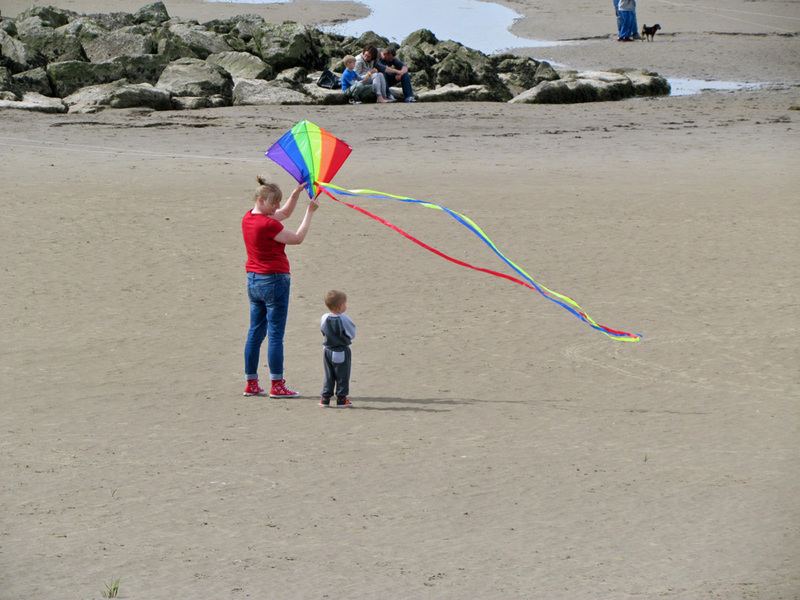 The best fun you can on a breezy day, as the kite soars and you control its movements, so do your worries fly away. Look out for kite festivals as their colourful array of fun kites, coastal towns often host these events. If I can't get to the beach and the sea then the town pool will be great. We have two in my town, one a paddling pool with a giant toadstool fountain and the other an outside pool in a park, swimming beneath great pines and oaks. Enchanting and freeing. There are many places in the UK to swim outdoors, wild swimming is popular and the tradition of lidos still mean you can find a unique pool to visit. Compared with swimming in a leisure centre and its echoes and smell of chlorine, outdoor swims are more opening to the senses, more inspiring for feeling within nature and a wild feeling for an exhilarating rush. My son loves our outdoor paddling pool, splashing away and I can relax knowing that he is happy. This summer will be a chance for me to get back to having some fun after the heavy workload. I'll still be reading for my course but the extra time will be well spent doing other things whilst the sun shines.